The Planmate Plan Clamps feature a triple wing nut securing system for extra holding capacity. It will hold plans up to A1 size (841mm x 594mm) on their short edge. 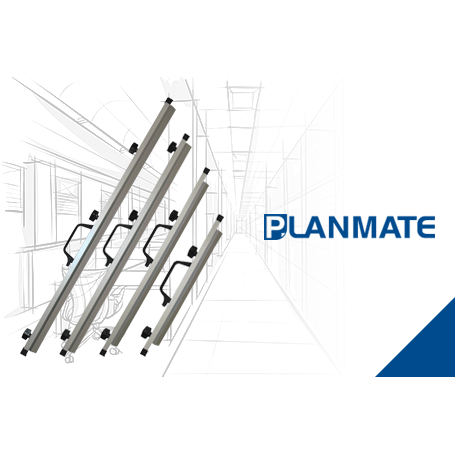 Planmate Plan Clamps are guaranteed for 10 years against faulty parts and workmanship. If they prove defective under normal use we will replace them free of charge! Designed in three parts for greater capacity and fast release action; Designed for universal fit with trolleys from most other brands; Scratch resistant with an anodized silver finish; Covered by a lifetime guarantee.